Exclusive to us is this slightly different Monkey boot. 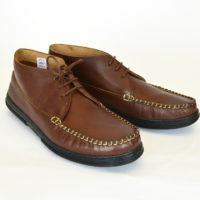 We have had these made by the Original Solovair factory in Northampton. 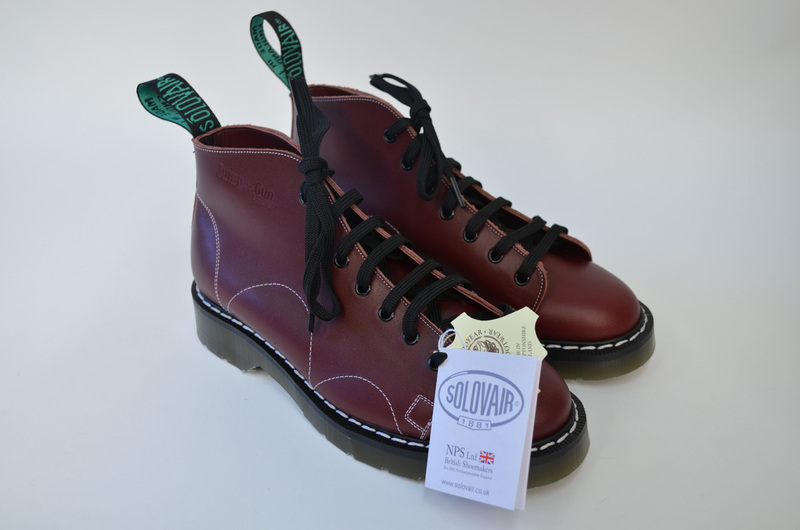 100% made in UK with the Original Solovair sole. 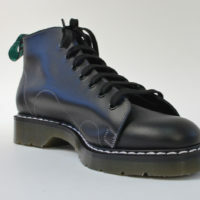 (this is the company that started the whole airware production for Dr Martins). 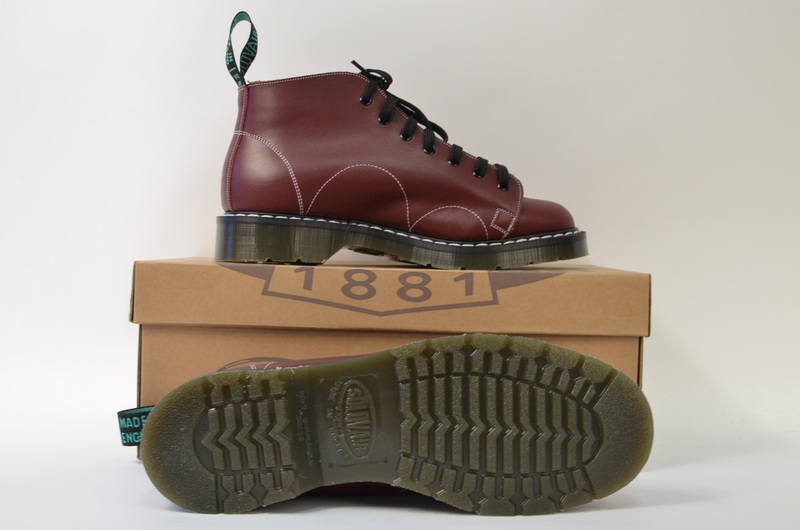 We have smoothed off the edge of the sole to give it less of a Doc look. The quality of these are a complete step up from the Eastern Europe ones available from most people and are of course the only ones with the air pocket sole. 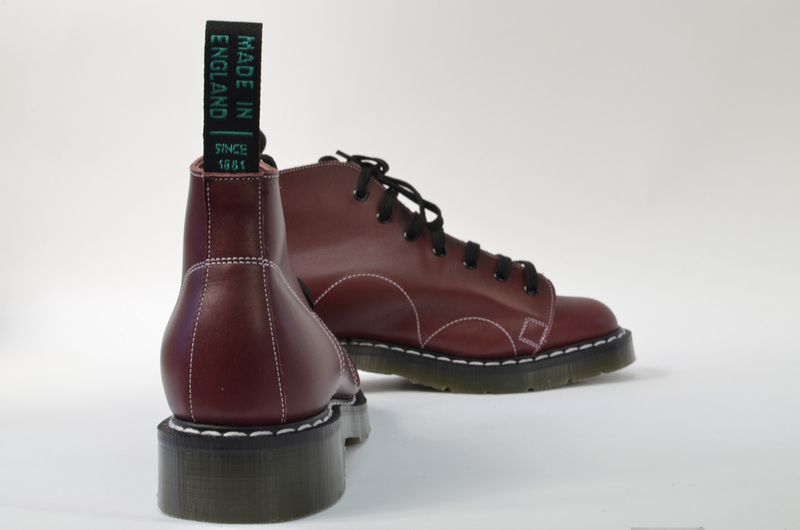 A great British boot made in a great British factory……fantastic. Hi Vincent, Thanks so much for your review. Glad you are happy with them. 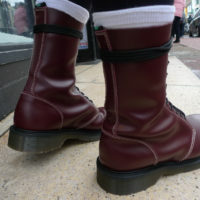 Allways wanted a pair of Monkey boots but could not afford them when they were all the rage in the 60,s. Just bought my first pair now I can afford them. Chuffed to bits . Will need some wearing in to soften up the leather but really pleased. Great quality. wonderfull monkey boots but why there aren’t my size!!!!!!! Thank you for your comment. Maybe you could e-mail us and we could look at which size you were after? This is a winning combination. 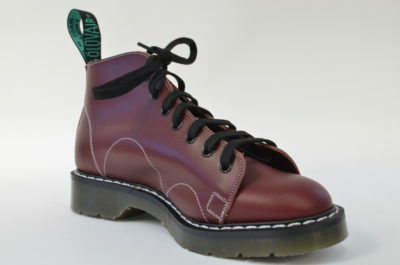 Doc Martens and monkeyboots merging and the result is a unique style footwear that’s better than the original monkeyboots. To be honest I never liked monkeyboots until I saw the jump the gun version. I was not disappointed. Get yours while they last. Instant classic in my opinion. John,we couldn't have written a better description ourselves- do you work in marketing by any chance? Thanks for the review, Jonathan. John,we couldn’t have written a better description ourselves- do you work in marketing by any chance? Thanks for the review, Jonathan. Best boot I ever bought. Gonna buy the black ones ! Lets get this back in stock then! i’ve been on a hunt for a replacement pair of monkey boots for about 3 years now. this is the next best thing. slightly different, but has class on its own. Awfully nice shoe. Great quality, so much sharper than yer average Doc. Well chuffed and will definately replace when worn out. Great product.